It’s hard to imagine how a large, popular retailer or restaurant ends up not being able to sell its primary offering. Can you imagine Waterstones ever being unable to sell books, Clarks not being able to sell shoes? McDonald’s not being able to sell burgers? Well KFC somehow, as you’re probably aware, managed to run out of chicken. When changing suppliers in any industry there’s is always a decision that needs to be made – whether it be a relatively straightforward decision or a more complex drawn out one, the underlying factor is to make sure your business will benefit in one form or another with partnering with a new supplier. In KFC’s case, the thought process to change their delivery supplier from Bidvest Logistics to DHL was due to cost cutting. It was only last week I received a sales call from an ink cartridge supplier advising me they can beat the price of our current supplier. I had a brief discussion with a colleague who looks after the stationary and due to the great service we have with our existing supplier, it was not worth the risk of giving up the great relationship we have with them even though there might be a cost saving. This a is a key point when considering changing supplier for any of your goods or services. It’s been concluded that in addition to the change of delivery supplier, another important reason that led to KFCs across the country running out of chicken was due to switching from multiple depots to one large distribution centre based in Rugby. I’m sure KFC had valid reasons to see this change being a success and in the long run, I’m sure it will. However what is concerning is it has been reported that KFC had doubts about the setup of the new system they had in place with DHL after they tested this. A small amount of additional time spent in testing could have prevented them being in the situation they are in today. 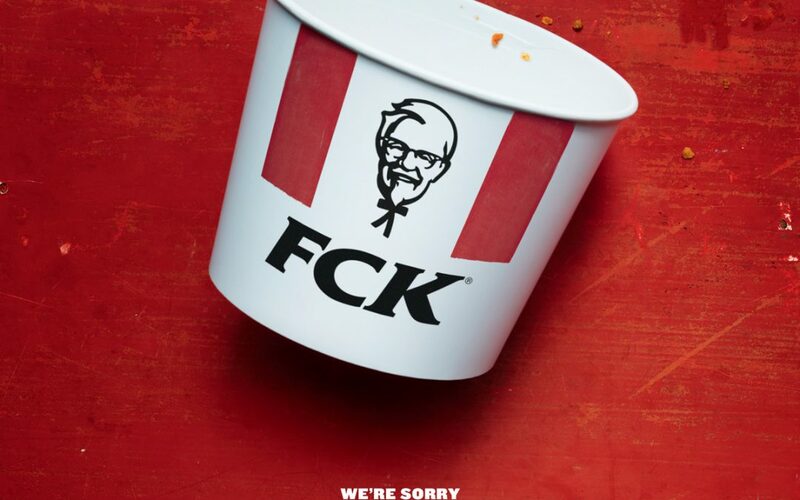 This was deemed ‘A masterclass in PR crisis management’ by the well known public relations worker Andrew Bloch and may to some extent have helped KFC due to the fact they can make humour out of a very embarrassing situation. Invest time, energy and commitment in not only making the decision to change suppliers but also during the process of getting the new supplier onboard, having a good relationship with them and make sure the reasons behind you changing in the first place are met. Hopefully, retailers of all sizes will learn from KFC’s turbulent week.